In my book, vacations of any sort include reading. (Though this is not the case for everyone; recently, I was stunned to learn that a fellow librarian was traveling to Europe without a single book. I was actually struck speechless. What do you do with all that time on in airports and on the plane? Waiting in line for things? Before bed? Is this common, for people to travel without books?) At any rate, our summer vacation this year consisted almost entirely of sleeping, eating, walking, and reading. 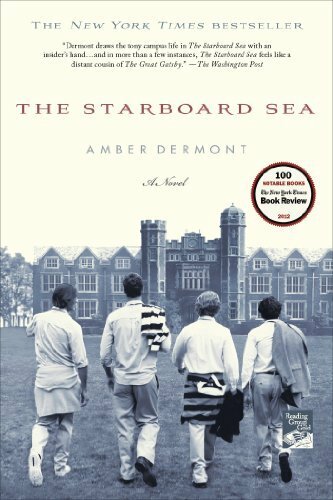 I knocked my TBR list down by one by finally reading The Starboard Sea by Amber Dermont, which I’ve had on my shelf in paperback for well over a year. It’s a boarding school book, and I’m a sucker for those (see: A Separate Peace, Looking for Alaska, Prep, The Disreputable History of Frankie Landau-Banks, The Tragedy Paper, The Secret Place). It reminded me a bit of Looking for Alaska and a bit of Ordinary People in the way the main character, Jason, experiences the loss of someone close to him (two someones, actually) and struggles with his grief alone. Like today’s “helicopter parents,” the 1980s parents of most of the students have high expectations for them, but they don’t hover – far from it. The kids are afraid of failure, but the parents use money and influence to bail them out when they make mistakes, protecting them from real consequences whenever possible but doing so from a distance. Jason’s problems can’t all be remedied with the second chances that money can buy, and he recognizes this. Slade House: Those who loved The Bone Clocks will devour this, as it takes place in the same Mitchell universe. It’s a much more compact book, length-wise, and, like Life After Life by Kate Atkinson, it has a somewhat looping pattern. The Bone Clocks is literary fiction with fantasy elements (the Anchorites and the Horologists, etc. ), and Slade House is that too, but it also has a few hallmarks of the horror genre (e.g. The Haunting of Hill House), especially the ending. There are the usual allusions and references to characters from other Mitchell books: one of the characters works for Luisa Rey’s Spyglass magazine, though Luisa isn’t mentioned by name; Marinus from Bone Clocks and Thousand Autumns makes an appearance in the final section; and of course there’s the ubiquitous moon-grey cat. 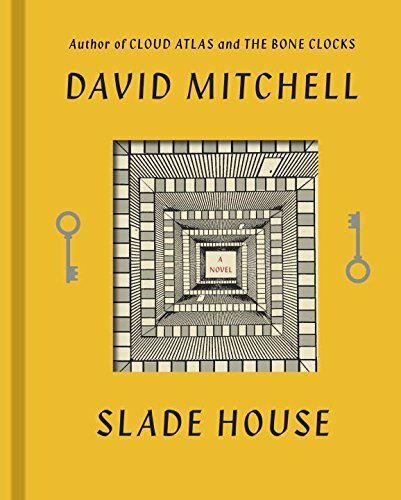 Slade House can certainly stand alone, but might be more enjoyable if you’ve already read some Mitchell. 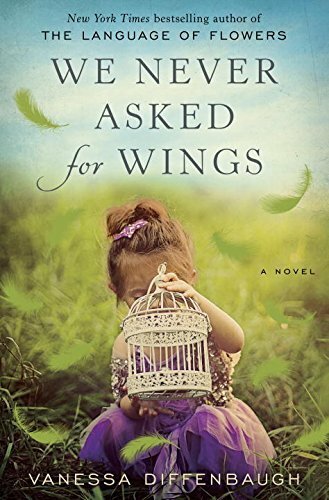 We Never Asked for Wings: The Language of Flowers was not a once-off – Vanessa Diffenbaugh is a really good writer, and she takes characters uncommon to literary fiction and puts them at the center of her stories. Wings is about a struggling Mexican-American family in California. Letty’s parents, who effectively raised her two children (15-year-old Alex and six-year-old Luna), suddenly return to Mexico, leaving Letty to learn how to be a mother for the first time. Alex misses his grandparents, especially his grandfather, Enrique, a feather artist who taught him about birds and migration patterns. He goes searching for his father, bringing him back into Letty’s life for the first time in 16 years, and if that wasn’t enough, Alex also tries to get his girlfriend, Yesenia, out of a bad situation – but ends up getting her into a far worse one. Diffenbaugh writes with compassion and understanding, but her books aren’t “issue books” – they’re about her characters, who all seem utterly lifelike. 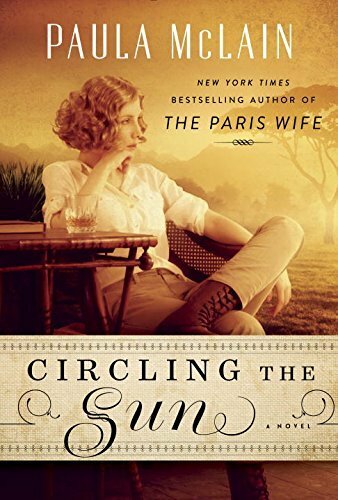 Circling the Sun: This book spans Beryl’s childhood in Kenya through her early adult life, from about 1904 into the 1920s, with a prologue/epilogue set in 1936. Beryl is an adventurous woman, but even in Africa there are societal rules to follow (or break, and bear the consequences). She trains racehorses, marries and divorces and marries again, has affairs, and learns to fly a plane. I enjoyed Circling the Sun, and the quality of the storytelling is on par with that of The Paris Wife, but I felt there was a loss of momentum in the later parts of the book. Perhaps I simply read it too quickly, and I would have appreciated it more in smaller chunks. Still, it’s very good, and I haven’t read much fiction set in Kenya; the descriptions conveyed an excellent sense of the place and time. 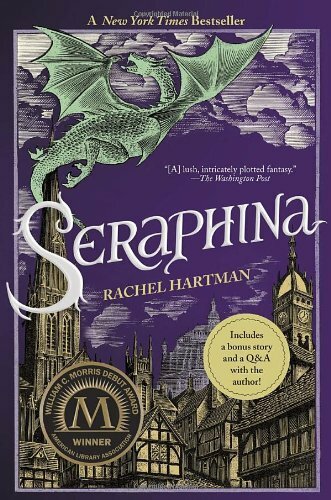 Seraphina: I was interested in this from the moment I heard about it, yet it didn’t make it to the top of my list until recently. I am so glad I read it; it’s a unique YA fantasy novel (with a new sequel, Shadow Scale) set in a world where dragons can take human form. Thanks to a peace treaty brokered 40 years ago, dragons and humans have been co-existing (somewhat uneasily), but tensions are on the rise. Seraphina, the new assistant music mistress at the palace, is caught in the middle of the conflict by the nature of her identity. The audiobook is excellent, though as usual I had to check the print for spellings of the invented vocabulary. That’s some of my summer reading – what’s yours?